You are here: Home / Bankruptcy / What is a “Medical Bankruptcy”? If a person only has medical debt, then I suppose they might describe their bankruptcy as a “medical bankruptcy”. However, there is no way for a person owing, for example, credit cards and medical debt to file bankruptcy only on the medical debt. 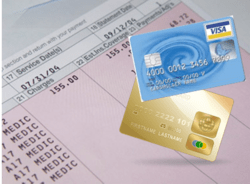 If you have medical debt that is causing you a problem, feel free to contact us to set up a free initial consultation. We will help you figure out your options to deal with it.